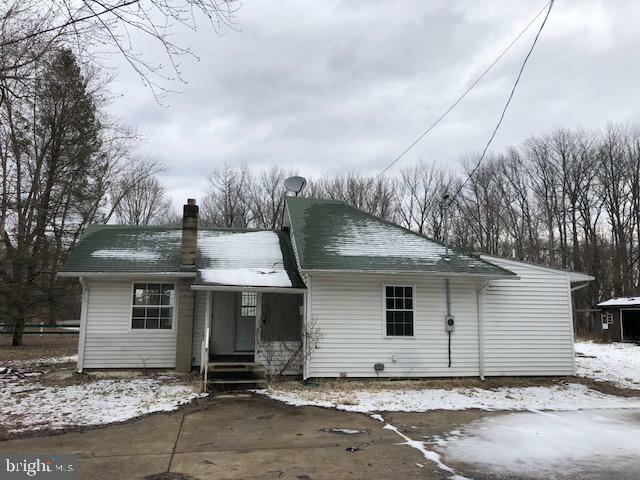 This Bungalow is located in Oldmans Township in Salem County, and features 2 bedrooms and 1.5 bathrooms. The interior of this home also features an eat-in kitchen, wood-burning brick fireplace, dining room, family room and a living room. This home contains a partial basement. The exterior features a front porch, and 2 sheds. This home is located near Harding Highway and the Delaware River.